I have to say that I really don’t understand why Yes is so keen on releasing a version of Fly from Here with Benoit David’s vocals removed. It seems a very spiteful and mean-spirited thing. After all, Pat Moraz only made one album with them, and they didn’t go back and re-record Relayer when Rick rejoined the band, did they? Benoit’s vocals haven’t been removed. Trevor Horn has recorded new lead vocals over the existing tracks. Then Geoff has added some new keyboards, and they’ve included a new track, so it’s not the same as the other version, which is still available for those who still want it. This was Trevor’s idea, not the band. It’s for the “Drama” fans, as it’s the same lineup. And Benoit has given his ok.
That’s the first I’ve heard that Benoit has given his okay. But then really, would it have made any difference if he had said no? Still, I am glad he did. This Drama redux record as an idea falls flat for me. I would like to hear it to be fair; maybe will be streamed somewhere? All the descriptions I’ve seen make it sound like Benoit’s vocals will be replaced with Trevor Horn’s. The personnel is officially described as “The Drama Line-up” and doesn’t list Benoit David. I too think it is a shame to replace him. I think his vocals are great and fit really well on this album. I mean, I am as curious as the next person to hear this new mix/version plus some extra material. It just sounds kind of mean-spirited with regards to Benoit David’s contribution. I would rather have new music from both bands. 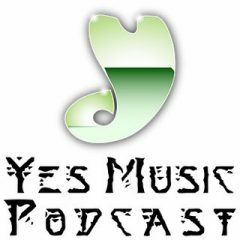 I have recently seen both Yes and ARW in concert and they were great. So…new music please. I agree as someone commented that they hope the new ARW music is not “Rabin AOR.” I hope it is truly A and R and W and leans more toward prog than Rabin’s coporate rock. Yes? I hope Yes’ new album leans more towards Fly From Here and very far from the abysmal Heaven and Earth. Great news to hear that they are working on a long form piece. Maybe after the 50th Anniversary activities they’ll have time to go into the studio in the second half of this year. 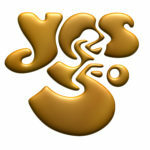 I would prefer new music before another Yes tour no question. The Moraz thing is tantalising but it’s going to be a cameo not a leading role and I am not sure a Relayer themed tour has commercial legs. Sadly. I would actually pay big money to see them tour Yesterdays and Relayer in one show but suspect I am in a very very small minority. Fly From Here and Skyscraper Soul bode well for a future Downes/Howe collaboration though I do wish they would engage with some of the band’s psych pop, jazz and “beat combo” roots along the way. Rediscovering a little of that early raw muscularity would go a long way to giving the thing some purpose. Howe can still bring it when given the room. They all can. Singles are meaningless other than as previews on Spotify etc. What would be the point? 1) I’d go with Moraz for the simple reason that Moraz would do it in a heartbeat and Bruford would have to be dragged out of retirement. B) Ultimately, ARW root beer has to do a new album just to be viable. Yes should do one, but it’s not as crucial. Horizons sounds quite interesting though. III) Singles? In the 20 teens? Is that even a thing anymore? Maybe a streamed preview on NPR music (given the age of the fanbase)? Yes officially unfortunately ended in 2004. What the band did to Jon Anderson ruined this band from 2008 on. The ARW thing to me is a disaster. Jon was that desperate to feel apart of a Yes band he gets Trevor Rabin that Jon was only getting revenge ( who else could he get ) and for what Steve Howe has been apart of cause Trevor is wrong for this and his playing has really changed for the worse Sadly ARW looks a little better but is stupid and desperate. And Rick Wakeman I don’t know and they hire some hack session players. 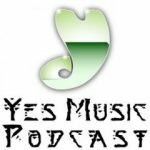 Steve Howe’s Yes is worse. Alan White’s playing hurts when I try to watch one of those later videos. He’s playing is so light either from immense pain or on pain medication. Look what happened to Phil Collins who was a amazing drummer it crippled him. The rest of the band all a joke and Squire passing away ? … Why is Steve Howe even trying. He’s only doing this keeping the Yes banner not the flame. When Chris passed away I really thought for a moment Howe was going to have some dignity and be done with it but he has changed as person … Going solo is not in the cards. Even Jon Anderson got bored with all the projects one after another. Like Elp and Genesis that current Yes needs to go it’s a corporate put on. People who still support this got there heads in the sand. I explained the whole scenario. I saw Yes at Madison Square Garden in 2004. To me that was the officially the end of this once great band and the last time I would go to a Yes concert and followed all the tours since 90125. Even if they had waiting for Jon’s recovery they would of have 2008 to 2014 left in them but were wasted on greed and BS and didn’t care. What if that was Chris or Rick or Alan or STEVE. I mean again Jon lived and Chris DIED. And they throw Sherwood into the fold the same guy I’m sure Howe did not want to share the stage with 20 years ago. I know Howe didn’t like that. Now he’s transformed to sort look like a younger Chris up there. With the hair it’s obvious even the Rickenbacker. Yeah a lot of Drama in this band. Thanks Mike. 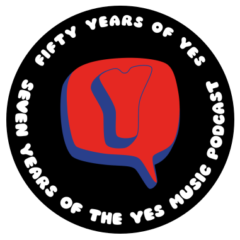 All I can do is report on my experiences of seeing Yes and ARW recently. I’ve really enjoyed each concert I’ve attended and I’m still excited about the future. The 50th Anniversary events and releases have been great in my opinion and there’s lots to be positive about in Yesworld for me. I didn’t have the chance to see the band in its 70s and 80s unfortunately but I’ve still loved all my explorations to date. Thanks for providing an alternative viewpoint!